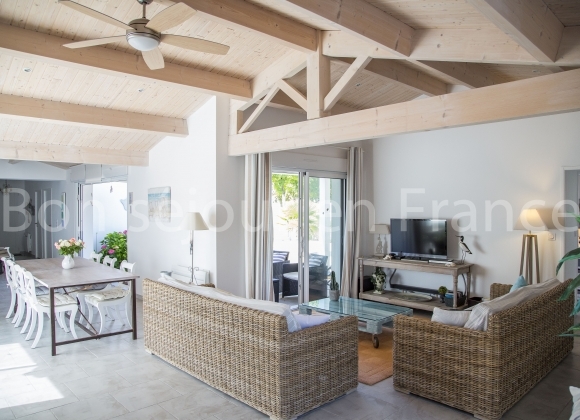 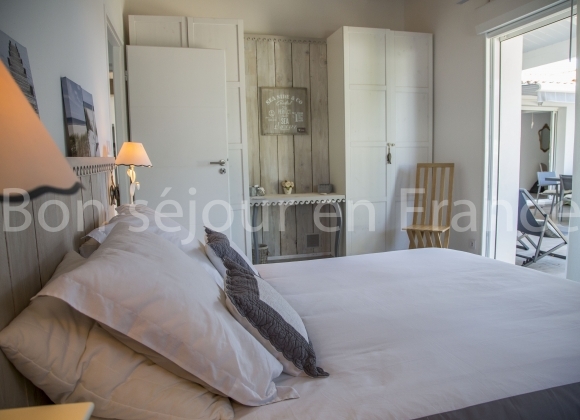 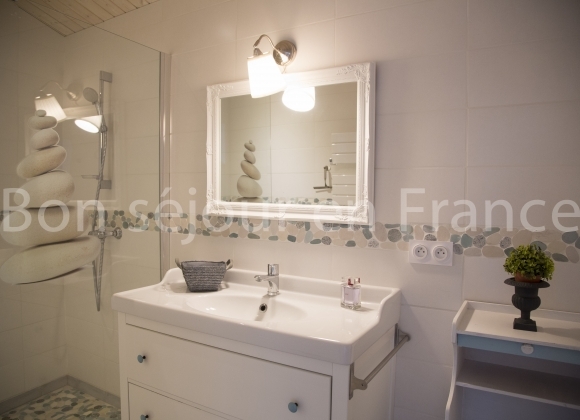 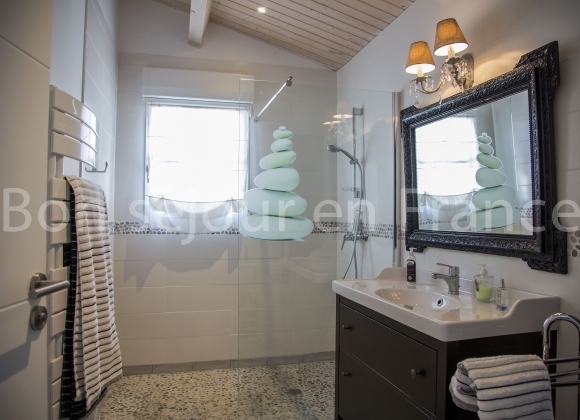 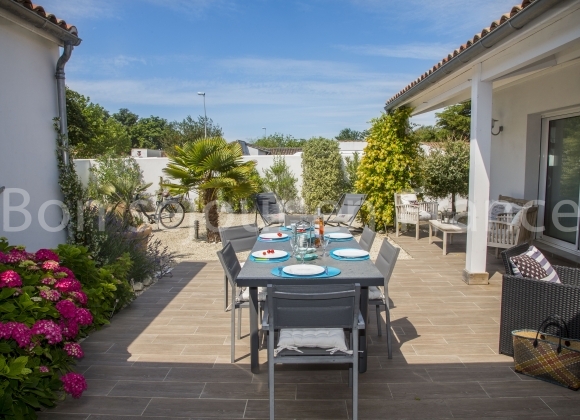 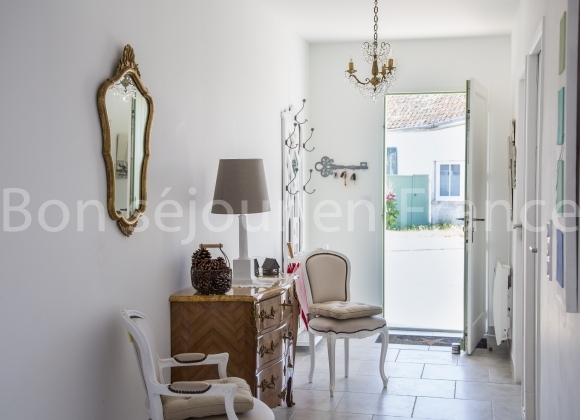 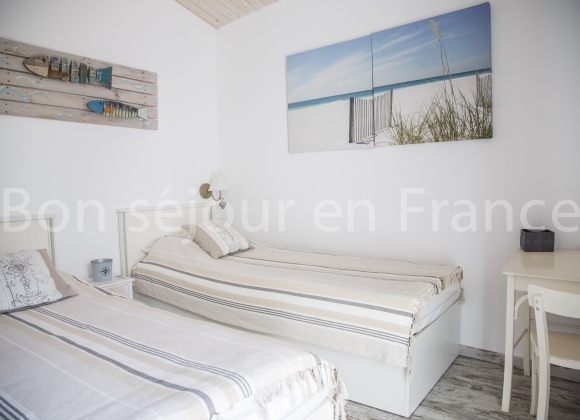 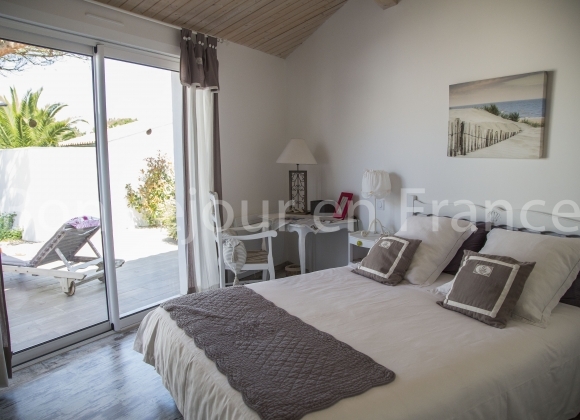 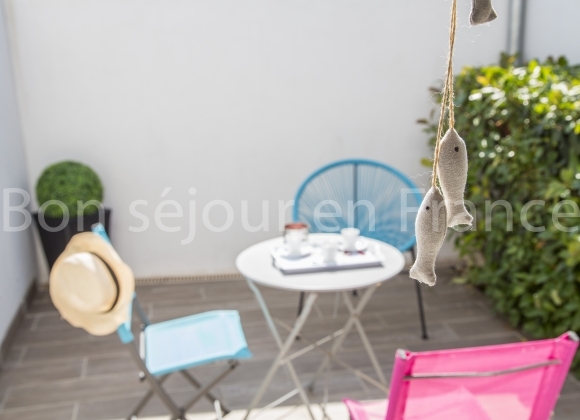 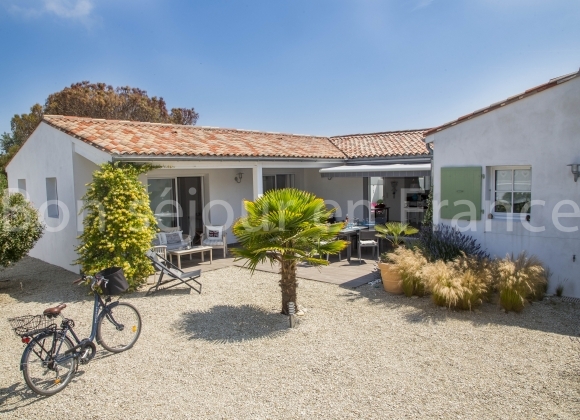 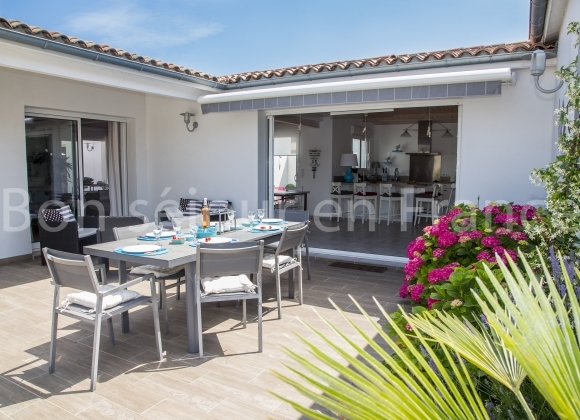 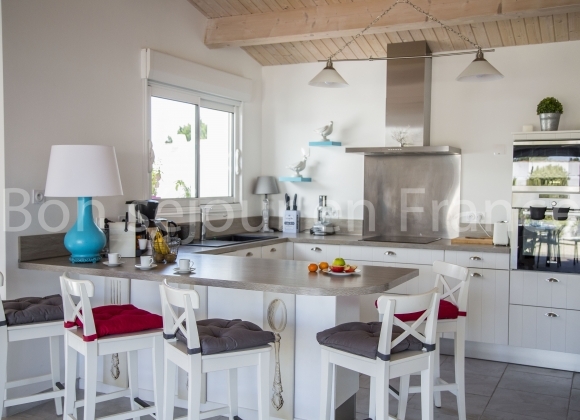 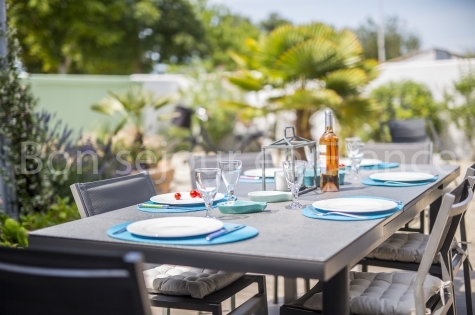 This brand new house is located 400 meters from the market and the lively centre of the village, 1200 metres from the beautiful sandy beaches of Le Bois-Plage. 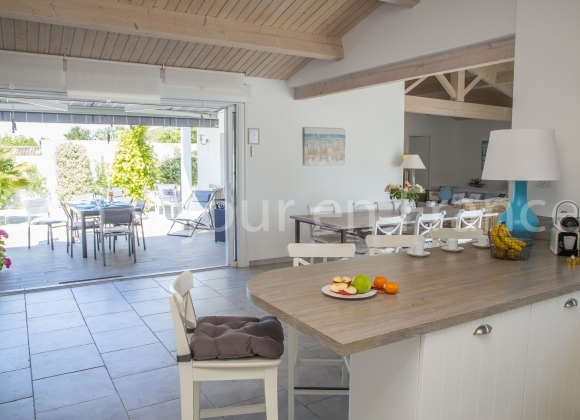 Single storey, easy to live and tastefully decorated, you will appreciate its level of comfort, the brighness of the rooms, its garage and its private parking. 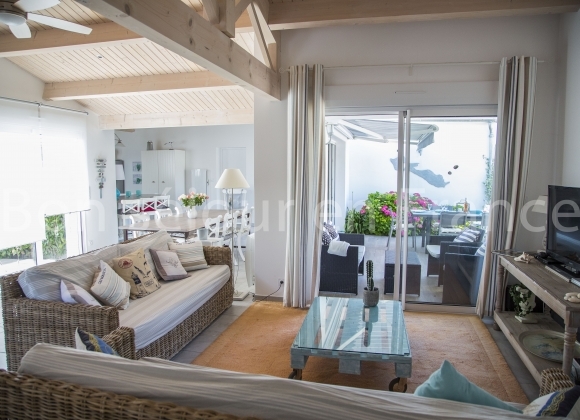 The 2 terraces (in front of and at the back of the house) incites you to take a peaceful nap in readiness for a day out walking or cycling.